Nicholas Y Mensah, is an inspirational author, living in London with his wife and children.Nicholas Y Mensah was born in Elmina, Ghana. He read "Streamline Your Mind" by James L Mursell as a young boy and had been interested in inspirational resources ever since. For the past 10 years, he has been researching about the core principles that makes people truly successful. He believes he has found them. And has distilled those principles into three and calls them - 'The ODD Principles.' He believes these ODD principles are the most important and foundational core principles of true success. 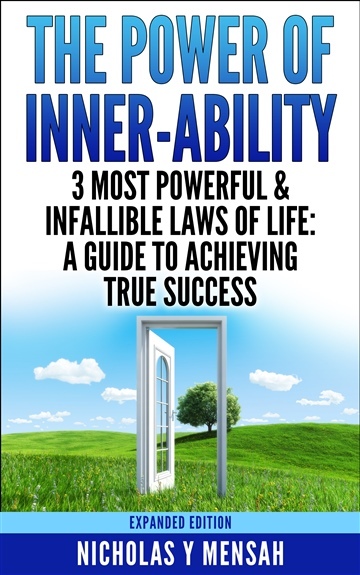 He has outlined those core principles in an easy-to-understand manner in his new book (The Power of Inner-Ability). If you are unfamiliar with the 3 most important principles of true success, this book will be of great help to you.